We Are Laura were paired with La Dumitrescu, a Romanian Deli, and O.G. Clothing, a street-wear t-shirt printer and wholesaler. Each shop had unique requirements. For La Dumitrescu, we adapted the current logo to be traditionally hand-painted onto the glass door and on the new swing sign. 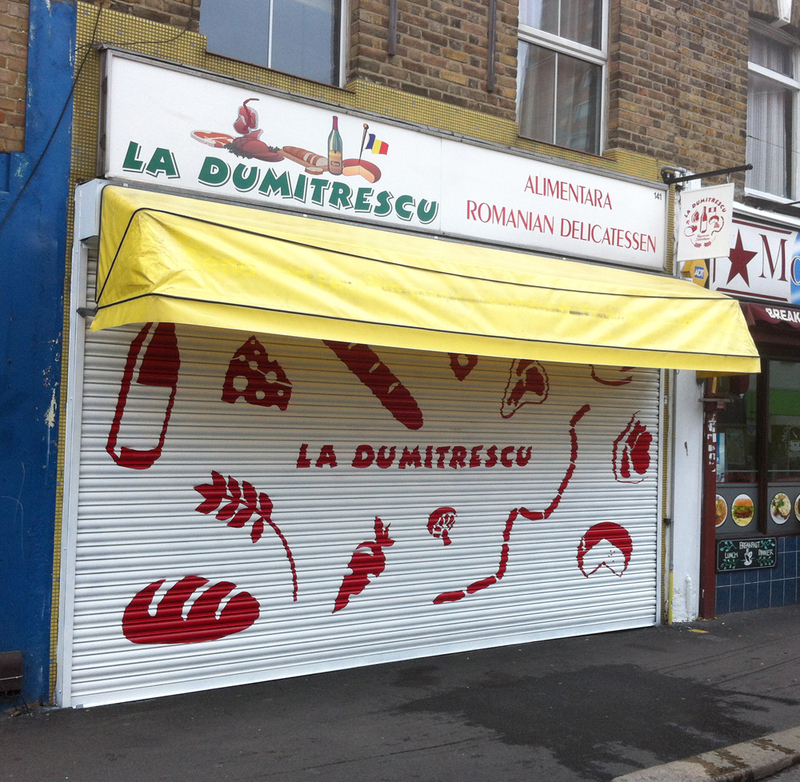 We also hand-painted the shutter with illustrated elements taken from the existing fascia. We devised a typographic treatment as a solution for OG Clothing. The OG shop acts as a base for a wholesale business, a screenprinters and a workshop facility for local young people. We wanted to design something that incorporated all these elements, telling the story of their business through fun and eye-catching graphics that complimented the graphics on the clothing.